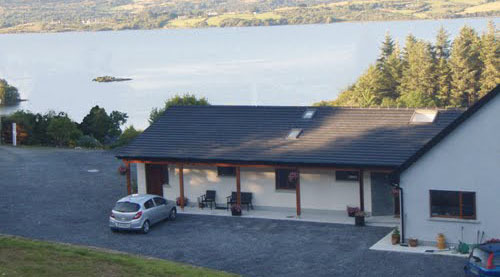 Set in a quiet, secluded location among the idyllic surroundings of lake, woodlands and mountain. The house is located on a three acre site which is bounded for much of its length by the charming Shanavaugh stream, the gentle sounds of which can be heard throughout the grounds. One of the area’s native timber woodlands of Oak, Ash, Birch and Holly provide another boundary to the lodge and the house and gardens have stunning views of the lake and surrounding mountains. Indeed our most frequently heard comment is to the calming and restful effect of our location. At Nonaim Lodge we pride ourselves on our meals. Be it a hearty breakfast or our delicious evening meals, we use only fresh ingredients sourced locally whenever possible. We are certain that our combination of good food, wine, and company in a well appointed dining area will be one of the highlights of your stay. We offer more than just angling holidays, we are ideally positioned to offer a wide range of activities for angler and non-angler alike. 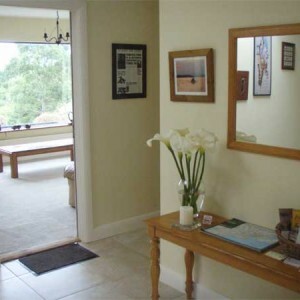 Situated on the Glann Road, which is by far the best known area around Oughterard both for its scenic location and also for the quality of angling available.